BULK SMS MAILINGS ARE A GOOD ALTERNATIVE TO IMPROVE COMMUNICATION BETWEEN THE CENTER, THE STUDENTS AND THEIR FAMILIES. Currently, the mobile phone is the method of communication that accompanies us everywhere. It is the screen that we have more in sight, so it is the quickest, safest and most efficient method to have an immediate and massive communication with students, parents, guardians, teachers or staff working in a school. 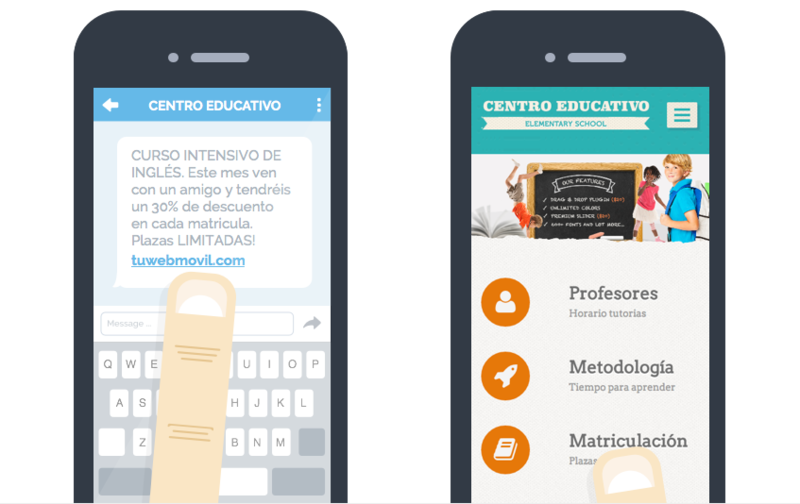 By mailing SMS to schools, you can get a tutorial action promoting the development of the student, who after all is the main objective of the educational process. It has been demonstrated that using SMS online marketing in schools not only improves communication with students and families but also increases the numbers of registrations due to the correct information and dissemination activities, promotions, offers, and courses. With Instasent, sending bulk messages is something very easy and inexpensive, Try it! Depending on the age and level of studies of the student, text messages can be destined to the parents or the students themselves. That is to say that in both Primary, Intermediary or Secondary education SMS facilitate communication between parents of students and their tutor or the study center. However, in University for example, it is the students themselves that receive the SMS, as the information received through mobile phone will be more personal to them. Reminder of tutoring or parent meetings. Reminder of exam dates and exam revision dates. Notification of grades achieved in each assessment. Recommendations and information about extracurricular activities in the center. Notice of both excused and unexcused absences. Information of the school's cultural agenda. Information regarding the tutoring schedule as well as the secretariat and administration. Take the opportunity to communicate effectively with your customers, send and receive SMS Online or integrated management applications at your school with our API, so you can automate shipments with relevant information, and customize it for the recipient. Instasent.com is simple, easy to use, quick, and inexpensive, Let's START NOW! We offer the best prices of the market in sending online sms, always used to send premium sms and secure lines.